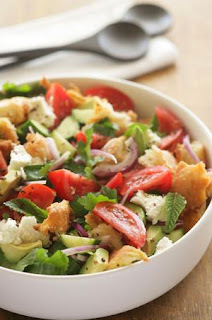 This is a fabulous Lebanese pita salad. Hey! We love to order Fattoush at Arabic restaurants. I'm excited to try your version. (we've made a couple in the past -- one we liked the dressing, another we didn't).